A rock ‘n’ soul evening with John “Some Kind of Wonderful” Ellison and a homecoming for jazz guitar great Vince Lewis. Ellison will be backed by The Carpenter Ants with Hall of Fame inductee Russ Hicks on pedal steel and Beckley’s Randy Gilkey on keys. Lewis and others will play throughout the afternoon. Tickets are $65 in advance and $75 at the door. These ticket prices are partially tax deductible and include Café Cimino’s award-winning buffet and the WV Music Hall of Fame’s Beer and wine bar. There will be a shuttle service to and from Café Cimino from Days Inn and Microtel. An expanded silent auction features items by area artists and businesses . The will be a few select items auctioned off Live! Proceeds will support the Hall of Fame’s 2018 induction Ceremony which will take place in February 2018 at the Culture Center Theater. 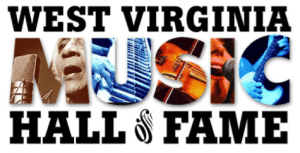 For information or reservations, you can reach the WV Music Hall of Fame by phone (304) 342-4412 or email: wvmhof@gmail.com or contact Café Cimino at (304) 765-2913. Café Cimino is located at 616 Main Street, Sutton, WV 26601.